Production time 1-5 working days for small qty,for big order,to be confirmed. 1. Easy to makeup, very high pigment. 2. Easy to carry. 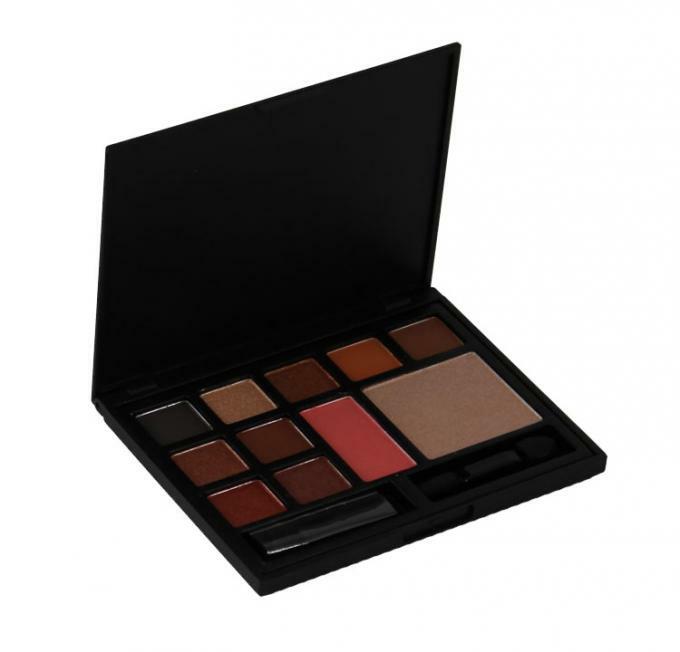 Small palette, even you can take it into your handbag. 3. Two Mini brush in the palette. 4. 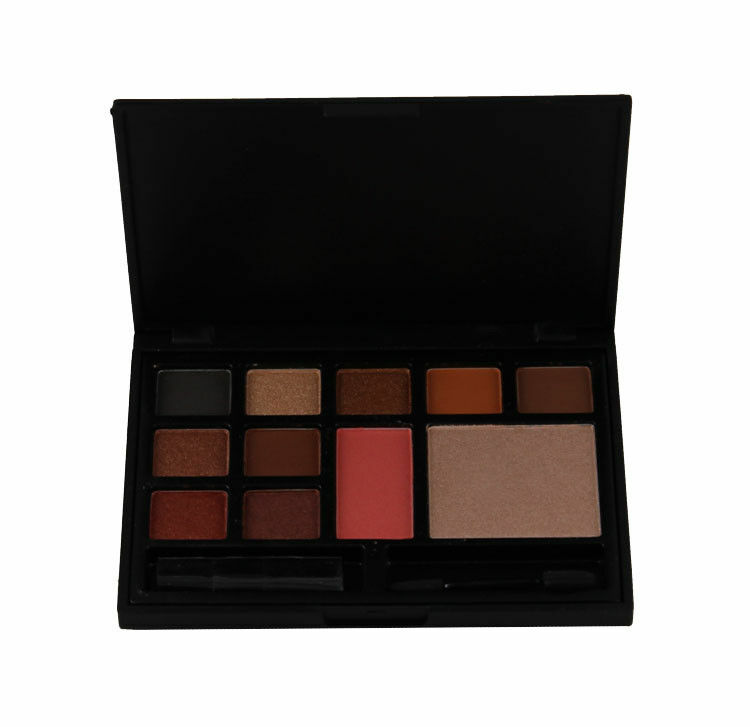 Three makeup types in one palette, including 9 colors eyeshadow powder and 1 color blush powder and 1 color hilighter powder. You can use it for your eye and face makeup. 5. Very safe package. Paper Box + Bubbles + Foam + Thick cardboard box. 6. We can accept small orders and mixed orders. 7. We can do private label. We can print your logo for free as long as your quantity up to 300pcs. 8. We can customize the colors and packages that you want and you like. 9. We can send you samples, so that you can confirm the high quality. 10. We have our own factory that focus on making high quality cosmetics. 11. We can provide the certificate of MSDS to prove our safe and natural ingredients. 12. We can send you within 1-5 workings days after we receive the payment. 1. Q: What are your advantages in the competitive markets? A: We have a low MOQ and we can offer you best quality with competitive price. Our customers say we are quick action and easy communication. Also, we have professional designs, rich product styles, strict production management, punctual delivery. 2. Q: Can you print logo on the package? A: Yes, we can. But usually, we only print the logo on the packages with one color. If multi-colored, need to customize. 3. Q: Can you send samples before our order? A: Yes, we can send you samples. Sometime it’s free unless sample charge is too expensive, but I’m afraid that you should pay for the shipping cost. 4. Q: How will you print my logo? A: You just need to send us your logo design. AI file is best. Then we will make he printing film and print. We will print logo on the products with the color that you ask. If you want other printing effect, like hot stamp, silver foiled. Pls tell me in advance. We can do it also. 5. Q: How do I know where my order is now? A: We will give you the tracking number about your order once it has been shipped. Then you can track it by yourself on the corresponding website. 6. Q: Which payment way is workable? Western Union, MoneyGram,T/T(50%deposit, 50% before shipment shipment). Should you have any other questions, please feel free to contact us. We will always provide you with best service and product.